July 3 (Mongolian Economy) The plan to develop Mongolia's largest coking coal deposit Tavan Tolgoi for USD four billion is being stalled amid uncertainty concerning agreements between the government and investors. The main point of contention is how much money the two sides are to give and take. Currently, Mongolians are divided when it comes to the Tavan Tolgoi question: anti-agreement and pro-agreement. Policymakers, economists and other influential people express their polar views on the matter, making people's heads spin. Member of Parliament S.Ganbaatar said, "Tavan Tolgoi is being rushed by saying the coal is turning to ash; yet, no specifics have been given to the people." Energy Resources LLC, who is a four percent owner of the Tavan Tolgoi deposit, established a consortium with the Chinese Shenhua and Japanese Sumitomo and won the bid announced by the government. Why Shenhua and Sumitomo? In short, Shenhua has a railway, and Sumitomo has a solid marketing network. Although the Mongolian government was supposed to sign three types of agreements on investment, the railway and the partnership, the Speaker of the Parliament Z.Enkbold sounded alarm and demanded that the agreement be discussed in parliament. The agreement has seen four changes since being submitted to parliament. "The government signing this agreement would have been a crime," said A.Gansukh, a legal consultant to speaker. According to Z.Enkbold, "The current agreements that were on the verge of being signed did not sufficiently align with Mongolia's national interests. For example, the Mongolian government's duties have a certain timeline, whereas the other side's duties have no dates, only goals and aims. If the goals and aims fall short of expectation, there is nothing about who or what will answer for it." Even a working group has been established to get to the bottom of points discussed by Parliament on what measures need to be taken for the development of the Tavan Tolgoi coal deposit investment agreement. The head of the working group, MP L.Erdenechimeg said, "I have essentially become the person with the most information on this among the 76 members of parliament, but even so, I have only just received the first bits and pieces of information on Tavan Tolgoi. There is much the other members of parliament don't know about Tavan Tolgoi. Therefore, it is necessary that everything be thoroughly examined. The agreement can't be allowed to continue in its current form." The most alarming part of the agreement according to the speaker of the parliament's consultant A.Gansukh is that the agreement term could have been pushed back until the investments are compensated. According to his accusation, the term of the agreement is limitless. There is also this one clause in the agreement drawing many critics. It says that if the government were to cancel the contract, the consortium will legally be given the amount of investment back plus 20 percent of the expected annual profits for the remainder of the contract term. "What would happen if one minister comes out and tries to cancel the contract after an investor has already put USD four billion into the project?" asked J. Odjargal, President of MCS Group, which is Energy Resources' parent company. After analysing the 2014 financial reports of the Mongolian Mining Corporation, which has been selected as the Tavan Tolgoi project investor, the company has USD 1.023 billion worth of debt. For example, this company has debts to the Netherlands' FMO and Germany's DEG banks, and they have also issued USD 600 million worth of bonds according to the working group. In response to this, J.Odjargal stated that first of all, the Mongolian Mining Corporation was registered outside of Mongolia to raise funds. The bonds worth USD 600 million concern only MMC, and not Energy Resources. This bill has nothing to do with Energy Resources. He also said, "We can get out of the game right now. We might see some loss, but this country will see an even bigger loss." The investment agreement also concerns four types of taxes: royalties, income taxes, custom fees, and air pollution fees. If the price of coal remains at USD 80, funds pouring into the state budget would equal to USD 202 million as a result of the above-mentioned taxes. According to the Energy Resources consortium and J.Odjargal, the state will get all the taxes from the price of coal at the border without any risk. However, the contract gives all administrative rights to the management. Some see this as an intention to centralise all the power in one hand by reducing the involvement of the state to nothing. PM S.Ganbaatar said, "Investors will do the digging themselves, handle the transport themselves and deliver the goods to their own factories." Think of it this way. If Mongolia takes a 34 percent share like with Oyu Tolgoi, the Mongolian government has the same amount of responsibility to secure investment for the project and to share all costs and expenses related to project. "We will levy taxes according to Mongolian laws. How sorely did we regret and how long did we talk about how the Oyu Tolgoi agreement should have been like this? Now that dream has come true with Tavan Tolgoi," said Ch.Gankhuyag, Executive Director of the Ard Financial Group. The work to get the Tavan Tolgoi mine moving started in 2010. According to the Australian JORC standard, the deposit has 7.4 billion tonnes of coking coal reserves. The economist D.Jargalsaikhan said in an article that the deposit's extractable reserves are around 5 billion tonnes, which is projected to yield USD 250 billion over the next 50 years, provided that one tonne is sold for USD 50 at the Chinese border. MP L.Erdenechimeg said that if the current agreement is to be approved, Mongolia will receive what is equal to 20 percent of the yield altogether, including externalities and benefits. Recently, the Minister of Mongolia M.Enkhsaikhan displayed the yield of Tavan Tolgoi by saying that the investors and government will divide the income 78:22. Among parliament members, there are on-going discussions regarding who should take the lead on the Tavan Tolgoi deposit mine. Some members are saying that Mongolians would be better off if Tavan Tolgoi is led by the state-owned Erdenes Tavan Tolgoi. They are even suggesting opening a new bid to find a new investor. "If we go along with the path set by Energy Resources, 20 families will get rich. If we go with Erdenes Tavan Tolgoi, Mongolia will develop for the 20 years," said MP Kh.Battulga. MP L.Erdenechimeg said, "If you just compare the two options instead of the rhetoric explaining each one, the mine would only beneficial if Erdenes Tavan Tolgoi takes the lead." Are there any successful state-owned companies? Sure. Powerful state-owned companies such as Timasek of Singapore and the China Investment Corporation conduct business and economic activities independent of politics. They are managed far from the prying hands of politicians. But for a country where everything has something to do with politics, it may never happen. There is no guarantee that there will not be any political interference with the Tavan Tolgoi deposit as it moves forward if Erdenes Tavan Tolgoi takes over the whole deposit. It is a nice idea, but naturally there are significant doubts as to whether it will ever work. "There is no self-interest with Tavan Tolgoi. To forward the big project, we are in talks with the speaker of the parliament. We will handle the issue," said Prime Minister Ch.Saikhanbileg. But it is still unclear when parliament will discuss Tavan Tolgoi's future. Today, we are talking about sums of money equating to half the Mongolian economy. Perhaps the coal will not turn to ash, but it cannot be denied that Mongolia is losing its place in the global coal market as time goes by, and the dream of riding the export train to prosperity is fleeting away. It's tough being poor, but it seems it's even tougher being rich. Ulaanbaatar, July 3 /MONTSAME/ At the Stock Exchange trades on Friday, a total of 325 thousand 441 units of 18 JSCs were traded costing 60 million 772 thousand and 724.00 Togrog. "Hermes Center" /226 thousand and 249 units/, "Remikon" /72 thousand and 472 units/, "E-Trans Logistics" /12 thousand and 550 units/, "Mongolia Development…" /six thousand and 408 units/ and "Merex" /five thousand and 893 units/ were the most actively traded in terms of trading volume, in terms of trading value were "Hermes Center" (MNT 32 million 579 thousand and 936), "Gobi" (MNT 13 million and 269 thousand), "Remikon" (MNT five million 508 thousand and 516), "Mongolia Development…" (MNT two million 877 thousand and 192), and "Niislel Orgoo" (MNT two million 644 thousand and 550). The total market capitalization was set at MNT one trillion 382 billion 660 million 862 thousand and 104. The Index of Top-20 JSCs was 14,607.00, decreasing 0.73% and the all index of MSE was 1,009.51, decreasing 0.41% against the previous day. July 1 (MSE) Regarding the "Market Makers" introduction into securities market by Mongolian Stock Exchange /MSE/, MSE will publish two weeks Market Makers performance report to the public. July 2 (MSE) In the framework of Prime Minister Saikhanbileg.Ch's visit to the United Kingdom, Angar.D, CEO of MSE participated in the opening trading session of London Stock Exchange. As we mentioned before that Mongolian Stock Exchange (MSE) and London Stock Exchange Group (LSEG) were signed an extension to their strategic partnership agreement three more years on 9 September 2014. During the visit to LSE, PM Saikhanbileg emphasized that MSE and LSEG will work together to launch the FTSE Mongolia index. July 2 (MSE) According to the assessment form provide by MSE, Top-20 companies shall submit their assessment report of corporate governance to the MSE. As of today, there were 15 companies submitted their assessment report with 76.47 percent average rating. As seen these submitted reports of companies, MSE needs to provide advices on fundamental principles of corporate governance including, shareholder's rights, shareholders' meeting, transparency and board of Directors. July 2 (MSE) According to the resolution No. : 226 of Financial Regulatory Commission dated on 24 June 2015, listing amendments were made to "Ulaanbaatar Dulaany Suljee" JSC, and its share increased by additional 221,280,101 shares with MNT100.00 per share resulting in total of 950,649,809 shares. July 2 (MSE) According to the resolution No. : 228 of Financial Regulatory Commission dated on 24 June 2015, listing amendments were made to "Ulaanbaatar Buk" JSC, and its share increased by additional 187,200 shares with MNT100.00 per share resulting in total of 1,775,475 shares. July 2 (MSE) According to the resolution No. :287 of Financial Regulatory Commission dated on 24 June 2015, total 271,805 shares of "Mongolyn Gegee" JSC will be delisted from MSE's listing. July 3 (Bloomberg) -- Bank of Mongolia's monetary policy committee decided to keep policy interest rate unchanged at 13% due to drop in FDI and increase in budget expenditure and deficit, according to a central bank statement published yesterday. ULAN BATOR, Mongolia, July 5 (AFP) Mongolia's biggest political party has called on the prime minister to expel its key partner from a governing coalition forged last year, potentially throwing the resource-rich country's politics into renewed turmoil after months of relative stability. The Democratic Party (DP) of Prime Minister Chimediin Saikhanbileg said Saturday that it was ordering him to boot out the Mongolian People's Party (MPP) from the coalition. The announcement, in the form of a party executive leadership board decision, was published on its website, though it remained unclear if Saikhanbileg would follow through or if negotiations might avert a rupture. The MPP had no immediate comment on the decision, though was expected to hold a meeting Monday to address it. Saikhanbileg's spokesman could not immediately be reached for comment. Saikhanbileg, an advocate for more foreign investment, on Wednesday held talks with Prime Minister David Cameron during a visit to Britain and also visited the London Stock Exchange. Mongolia, a landlocked country between Russia and China and for decades a tightly-controlled satellite of the Soviet Union, shook off communism a quarter century ago, and has developed a vibrant democracy. But it has struggled to realise the full bounty of its vast underground resources of gold, copper and coal amid internal squabbling over what role foreign investment should play in their extraction. In remarks to reporters late Friday, Lombiin Erkhembayar, the acting general secretary of the DP, said that the MPP was invited into the coalition last year to help improve Mongolia's economy. "Unfortunately, all the MPP does is fire government workers and slander the Democratic Party by saying government is doing nothing," Erkhembayar said. "The government cannot operate normally with the MPP since they joined the coalition." The DP claims that the MPP had cut more than 600 employees from ministries and government agencies and were criticising the government with an eye on elections due next year. The "super coalition" government consisting of 19 Cabinet ministers was formed in December, made up of four different political parties that represent the vast majority of the 76-member Great Hural, or parliament. Saikhanbileg's DP controls 10 portfolios in the Cabinet, while the MPP has six, with the rest divvied up between two smaller parties. The DP has 35 seats in the legislature, while the MPP is the second-biggest member with 26. Other seats are held by a two-party alliance, three independents and a small party focussed on environmental issues. The DP won 2012 elections, but in November last year the legislature voted to dismiss then prime minister and DP leader Norovyn Altankhuyag after he was accused of cronyism and failing to address growing economic problems, leading to the formation of the coalition. The MPP played a key role in demanding Altankhuyag's ouster. Despite Mongolia's mineral wealth many citizens remain poor, and politicians in the country of three million have faced criticism of their policies by foreign investors, along with concerns about environmental damage and how fairly mineral wealth is shared. Economic growth has slowed sharply since peaking at an eye-popping 17.5 percent in 2011 on the back of optimism over minerals and a boom in commodities prices, which have since fallen sharply globally. July 3 (gogo.mn) Plenary session is scheduled for today. 1. Draft Resolution of State Great Khural on "Approval of main direction to privatize state property in 2015-2016"
1. Draft Resolution of State Great Khural on "Approval of State Policy on Military"
Ulaanbaatar, July 3 (MONTSAME) A special meeting of the Cabinet of Ministers ran July 2 and decided to submit a bill on promoting economic transparency to the Parliament. The draft law has been developed in accordance with the obligation to the Cabinet to make required changes to the related tax laws in order to alleviate the tax burden on citizens and entities, and reduce the complexity of reporting procedures, and to make them more transparent and open. These changes are supposed to improve Mongolia's business and investment environment and to promote private sector. The most common measure for promoting economic transparency is tax amnesty, which countries utilize for expanding their economic bases and minimize shadow economy. The new bill reflects more wide-range issues, including matters of tax, insurance, registration of capital and properties, registration of legal entities and accounting issues. By doing so, the Cabinet established one-time regulation for promoting economic transparency. July 4 (Bloomberg) Mongolian Prime Minister Chimed Saikhanbileg came to London with a message for investors that his country is "back in business." He spoke with Bloomberg Television's Nejra Cehic in an interview during his visit. July 3 (Asia House) Mongolia is open for business. The country, the second largest landlocked country in the world, is actively seeking foreign investment in infrastructure, roads, railways and power plants, as well as renewable energies, the mining sector, leisure, housing and tourism. That was the message at the conference 'Mongolia: Open for International Business' held at Asia House to discuss new opportunities in the country, at which the Prime Minister of Mongolia, HE Saikhanbileg Chimed, made keynote remarks. Mr Saikhanbileg, who was elected as Prime Minister in November 2014, was in the UK alongside a delegation of ministers, following a trip to Washington where he met American financial groups and business leaders in a bid to encourage American investors. The Mongolian Government is seeking foreign investment after reaching a deal with Rio Tinto in May this year allowing the mining giant to restart a long-delayed US$6.2 billion development at Oyu Tolgoi, one of the world's largest copper deposits in the South Gobi Desert. Plans for an underground expansion of the copper and gold mine, where 80 per cent of the mine's mineral wealth lies, had been stalled for two years because of legal disputes and disagreements between the Anglo-Australian group and the Mongolian Government over how to split the project's costs and revenues. The mine is jointly owned by the Government of Mongolia (34 per cent) and Turquoise Hill Resources (66 per cent, of which Rio Tinto owns 51 per cent). Since 2010, Rio Tinto has also been the manager of the Oyu Tolgoi project. Whilst Mongolia hosts 10 per cent of the world's known coal reserves and has significant copper deposits, FDI plunged from $US4.45bn in 2012 to $US507.6m in 2014. Growth rates have fallen sharply after being in double digits just a few years ago. Despite a substantial increase in mining output, growth in Mongolia's GDP slowed to 7.8 per cent in 2014 from 11.6 per cent in 2013, according to the Asian Development Bank. By the time it reaches full production in 2021, the International Monetary Fund estimates that Oyu Tolgoi will generate up to a third of Mongolia's GDP. "Mongolia is open for business – not only for Mongolian business but also for UK companies," Mr Saikhanbileg told the audience of business executives, also packed with international media. "We are highly committed to this. Without development and partnerships with foreign companies and investment, there will be no way we can unlock our huge potential. We are totally dedicated to making it happen for any companies present [at this conference]. That's why we have developed our investment agency, the Invest Mongolia Agency, the chairman of which is also in the UK on this trip," he said. He said Mongolia's blessings were in many ways that it was very rich in natural resources. "We have more than 6,000 mineral deposits and more than 80 different minerals worth more than US$1.3 trillion. We need to unlock them," he told the packed room. He said many people thought of Mongolia as a "far away country" but in fact it was the neighbour of the biggest market in the world – China – and a great gateway to that market. "We have almost 3,000 miles of border with China, so that's why we are a good platform to establish business with the second largest economy in the world China; with Russia [until recently the eighth largest economy in the world]; with Japan, the third largest economy in the world; and with South Korea the world's 12th largest economy," he said. "We are trying to establish a business-friendly environment in Mongolia and to offer stability," he explained. "There is no distinction in Mongolia between locals and foreigners. We will do whatever it takes to proceed with the Rio Tinto project which will benefit many people and next week will be a resolution on the US$5 billion coal mine Tavan Tolgoi (TT)," he said. Investors in the latter project include China's Shenhua Energy and Japan's Sumitomo Corp. A railway line linking the mine to China is also planned. Last week the Mongolian Government signed an MOU with British Gas regarding exporting oil, he said. "This is the beauty of democracy that we have a free market economy," Mr Saikhanbileg added. The Prime Minister stated that Mongolia, which is celebrating 25 years of democracy this year, "cared about human rights" and would soon be joining the United Nations Human Rights Committee. "Attention to Mongolia is coming back. Mongolia is back for business and open for business. All of you have the Prime Minister's invite to come to Mongolia and see the difference and enthusiasm we are trying to create a new society. There are plenty of opportunities," he added. GDP growth is forecast to slow to three per cent in 2015 due to falling prices in Mongolia's main mineral exports and despite rapid growth led by mining, around one quarter of the country's population remains in poverty. But Mr Saikhanbileg spoke about pending major projects in Mongolia including highways, rail transport, Talvan Tolgoi and power plants including hydro-electricity power stations. "There are 100s of SME projects, not big mega projects, and they are not all in the mining sector. All sectors of our economy are waiting for you," he told the delegates. "This will not only benefit Mongolia but it will benefit your countries as well. We have 400 companies in Mongolia looking for partners in the SME field so we would encourage you to engage with them," he added. "Our southern neighbour is the biggest consumer in the world and we are in negotiations with the Chinese government to export more energy." The Rt Hon Hugo Swire MP, Minister of State at the Foreign and Commonwealth Office, then made a speechabout the close ties the UK had with Mongolia and how they were flourishing. He first spoke about how impressed he was with Mongolia following his last visit just over a year ago referring to the country's "breath-taking scenery" and also the Oyu Tolgoi mine in the Gobi desert which he said "has enormous potential." Mr Saikhanbileg had already met UK Prime Minister David Cameron, the Rt Hon Lord Maude of Horsham, Minister of State for Trade and Investment, and Foreign Secretary the Rt Hon Philip Hammond MP during this London trip, he said. "There was huge enthusiasm in the UK Government about the prospects for our relationship," he said. "Over the last decade, Mongolia's GDP in purchasing power parity terms per capita has doubled. And it has the potential to become one of the fastest growing economies in the world. To see Mongolia take its place in the global economy will be a great achievement for Mongolia and its people. The UK is very proud to support Mongolia's economic reforms," he said, explaining that Mongolia was a trusted partner of the UK. Mongolia is currently implementing ground-breaking planning tools for "sustainable city development" in partnership with British organisation the Ecological Sequestration Trust, he added. He said Mongolia was a fine "example of managing a peaceful transition from Communism." "It's something that many can learn from – Mongolia's unwavering commitment to democracy. Mongolia is becoming an increasingly attractive partner for trade, investment and cooperation. The mining and minerals sector offers great opportunities," he said. He said a strategic partnership between the London Stock Exchange and Mongolian Stock Exchange was already in place and mentioned the Prime Minister of Mongolia had already met the Lloyd's of London "to ensure he has the correct investment architecture in place." "The most precious resource Mongolia has is its young people so we have deepened our links," he said, adding the UK wanted to increase the number of Chevening Scholarships given to Mongolian students. "The future for Mongolia looks very bright indeed and as Mongolia moves forward we hope it will continue to see the UK as a trusted friend," he added. Jean-Sébastien Jacques, Chief Executive, Copper & Coal group at Rio Tinto, said Asia was one of Rio Tinto's largest consumer markets, as well as "a key investment and development partner, and a growing source of talent and innovation for Rio Tinto." He explained it took on average 27 years for a project to go from discovery to production and a great deal of commitment, co-operation, patience, respect and mutual trust was needed. He said Mongolia had "for centuries sat in the shadows of its two giant neighbours" but now its extensive mineral wealth, its young population and committed passionate workforce," its "perfect positioning to supply and access the markets that will dominate the 21st Century" and its "willingness to reach beyond its borders" made it an "exciting and promising place to invest." "It does not matter where we operate in the world. You will see the same standards in terms of the environment across the world," Mr Jacques said. "We believe our developments are sustainable," he added, explaining that since 2010, Rio Tinto's in-country spend in Mongolia was US$4.8 billion, meaning taxes for the government to spend on health and education, wages for families and opportunities for hundreds of Mongolian suppliers. Oyu Tolgoi is now one of the most significant copper and gold developments in the world. Estimates indicate that Oyu Tolgoi contains 2.7 million tonnes of recoverable copper and 1.7 million ounces of recoverable gold in reserves. Copper is an increasingly important mineral which is used in many products he said mentioning iPhones, cars and houses and he said the fact it could be recycled made it especially valuable. "Lots of copper mines are coming to the end of their lives which is why Oyu Tolgoi, which will run for many generations, is so important. It provides an opportunity to plan for the long term," he said. He admitted that along the way Rio Tinto had "faced some challenges" but that Rio Tinto "never doubted the long-term vision of partnering with Mongolia." "I would like to compliment Prime Minister Saikhanbileg for his courage and leadership," he added. "Stability and the rule of law are critical for investors like us," he said commending the Prime Minister for his commitment to them. He said the relationship would build capacity and "aim to foster transparency." "Mongolia is very much open for business," he concluded. The Invest Mongolia Agency signed an MOU with Asia House before the conference agreeing to work together to encourage British direct investment in Mongolia and to provide potential British investors with information on business opportunities in Mongolia. In the morning HE Saikhanbileg Chimed gave a private briefing to Asia House corporate members. Topics discussed included Mongolia's growth rates and economic development, corruption, the country's infrastructure, exports, power plant projects, mining, tourism and financial services. Companies represented at the table included Rio Tinto, Amec Foster Wheeler, PwC and Standard Chartered. July 3 (news.mn) On 1st July, Mongolian Prime Minister Ch.Saikhanbileg opened the London Stock Exchange. This was one of the main events of his visit to the UK. After the event, the Prime Minister said the following – The "Strategic Cooperation Contract" between the Mongolian and London stock exchanges was extended for three years in September last year. Also, both sides will co-operate in launching the new international "FTSE Mongolia" index. Therefore, our two stock exchanges will remain as "Strategic Partners" for the next three years". 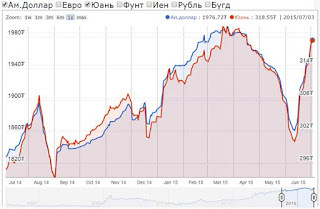 -Mongolia is back in business. 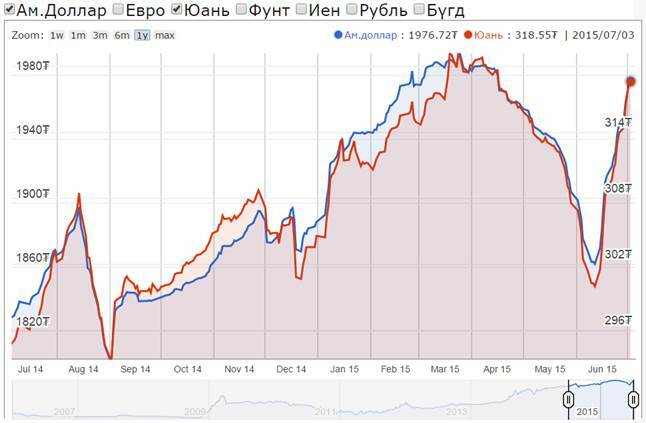 Today, investors are watching Mongolia carefully. Last year, our economy showed a 7.8% rise. External investments have shown positive results in a short space of time. Also, the Mongolian Parliament has approved the updated "Investment Law" which provides equal rights for both foreign and domestic investors. -The Mongolian economy must not be dependent on mining. We are working to create diversity. There are many sectors open to investment in Mongolia, for example: agriculture, tourism etc. -Mongolia has a population of three million, extensive territory, sixty million livestock, over 80 chemical elements, and 6000 physical mineral deposits. Our priority is ensuring long-term opportunities for the development of Mongolia's economy. July 3 (infomongolia.com) One of important meetings held during the working visit of Prime Minister Ch.Saikhanbileg to the United Kingdom was business investment meeting jointly organized with the Asia House. During the meeting, PM Ch.Saikhanbileg and Minister of State at the Foreign and Commonwealth Office of the UK Hugo Swire have exchanged views on investment attraction and expansion on economic relations between Mongolian and the UK. Also, Chief Executive of the Asia House Michael Lawrence and Chief Executive of Rio Tinto Jean-Sebastien Jacques have attended the business meeting. The Asia House is the biggest non-governmental and non-profit organization that represents Asian countries in the UK. At the beginning of meeting, Chief Executive Michael Lawrence has delivered opening remarks. Mr. Michael Lawrence thanked Prime Minister Ch.Saikhanbileg for paying a working visit to the UK and noted that the Asia House will provide full support for deepening economic relations between Mongolia and the UK. "I am glad to see that lots of people show interest in Mongolia. Today, our country is seeking many ways to collaborate with foreign investors and my working visits are one of them. I am grateful to the Asia House for hosting such event for our country." PM Ch.Saikhanbileg has informed businessmen attending the meeting about investment environment and business opportunities in Mongolia, and some mega projects launched with foreign investors also the government of Mongolia is doing its best to bring investment and business environment to international level. At the meeting, the Implementing agency of the Government of Mongolia - Invest Mongolia Agency (IMA) and the Asia House have signed Memorandum of Cooperation. Cooperation with the Asia House gives Mongolian government chance to inward investment from the UK to Mongolia, connect UK companies which are interested in Mongolia with government of Mongolia, host business meetings to promote business and economic relations, and advertise business opportunities in Mongolia to investors in the UK. "The goal of cooperation between the Asia House and Mongolia is to inward investment to Mongolia but we plan to work on trade too. Also, MIA will collaborate with other governmental organizations of the UK on trade. Businessmen attending the meeting said us that the agreement on progressing underground mining development of Oyu Tolgoi influenced positively on foreign investment. They were interested in running business in Mongolia." July 3 (infomongolia.com) John Frederick Nelson, the Chairman of Lloyd's, has paid a visit to Prime Minister Ch.Saikhanbileg during his working visit to the United Kingdom on June 2, 2015. Lloyd's of London is a market of insurance, where members share the risk together. Lloyd's works with its 55 thousand employees in many countries around the world but its biggest market is the USA (40%) and the UK (20%). At the meeting, Prime Minister Ch.Saikhanbileg has expressed his interest in working with Lloyd's of London. It is important to learn from experience of Lloyd's for us as Mongolia has an extreme climate. Two parties have agreed to conduct surveys on possibility to cooperate on agricultural insurance in Mongolia. Mongolia has an extreme climate that causes severe drought, heavy snow and rain that brings huge damage to agricultural sector. July 2 (Shearman & Sterling) Shearman & Sterling represented the Government of Mongolia in connection with the update of its US$5 billion Global Medium Term Note Program and its Regulation S offering of CNY1 billion 7.50% notes due 2018 under the Program. The bonds will list in Singapore. This is the first dim sum bond from a non-Chinese Asian sovereign and the first high-yield dim sum bond from a sovereign globally. The core Shearman & Sterling team included partner Matthew Bersani (Hong Kong-Capital Markets), associate Jeremy Wang (Singapore-Capital Markets) and senior legal assistant Derek Perriam (Hong Kong-Asia Corporate). The firm previously advised the Government of Mongolia in its debut sovereign bond issuance in December 2012. The Government of Mongolia issued Series A US$500 million 4.125% notes due 2018 and Series B US$1 billion 5.125% notes due 2022 as part of its US$5 billion Global Medium Term Note Program. July 3 (Global Construction Review) The capital of Mongolia, Ulaanbaatar, is to be a test bed for a new, data-driven modelling tool that aims to help city regions develop sustainably. The Mongolian prime minister, Chimed Saikhanbileg, was in London today to witness the signing of the agreement between the city's governor and a UK charity that has been developing the model with help from a global team of scientists, engineers, planners, social and political experts and economists. The tool, called resilience.io, helps cities plan and evaluate the business case for projects that bring improved human wellbeing, resource efficiency, clean energy and technologies that restore ecological systems. Around 40% of Mongolia's population of 2.7 million lives in Ulaanbaatar, which faces serious problems with overcrowding, housing shortages, traffic and deadly pollution. Separately, plans are afoot to create a new, more sustainable capital for Mongolia 20km away from Ulaanbaatar. Being developed now by experts from Imperial College London and the Zurich-based Institute for Integrated Economic Research (IIER), the model is expected to be ready for testing next year. It is the brainchild of Professor Peter Head CBE, an engineer who in 2011 took early retirement from his role as head of planning at global multidisciplinary firm, Arup, in order to pioneer new, low-carbon and circular development models. The charity he founded, The Ecological Sequestration Trust, has been working in Ulaanbaatar since December 2013, supported by the British Foreign and Commonwealth Office. In a statement Head said: "When I created The Trust, four years ago, the aim was to provide all regions of the world with an open-source, free-to-use platform that would enable them to discover a more resilient, sustainable development pathway – a resilience compass. To do this we had to bring together world-leading modellers in human, ecological systems and economics. "However it was also necessary to find regions in different parts of the world with the leadership and desire to bring about transformational change for their people and willingness to use this platform for that purpose. In particular to use the platform to help meet the post 2015 Sustainable Development Goals (SDGs) and to attract investments that seek lower risk through new governance and data systems." The memorandum of understanding Head signed today with the Governor of Ulaanbaatar, Bat-Üül Erdene, in the presence of Prime Minister Chimed Saikhanbileg, sees the trust and the city working together for the next three years. Accra in Ghana and the UK county of Dorset are also demonstration regions. Another is planned in China, Head said. July 1 (Digital radio technology from Cambridge-based Sepura is being utilised in the capital of Mongolia. The Municipality of Ulaanbaatar has chosen Sepura DMR technology for its public safety organisations. The contract was achieved in conjunction with Global Telecom, Sepura's channel partner in Mongolia, and is the Cambridge company's first contract in the territory. Sepura's digital solution will replace the municipality's legacy analogue system whilst running alongside an existing TETRA infrastructure that was supplied by Teltronic – now a Sepura group company – five years ago. The new system meets the important objective of the municipal organisation's major initiative to address and improve risk prevention and disaster management in the Mongolian capital. Sepura's channel partner, Global Telecom will oversee the migration from analogue to digital communications for the entire municipality; it will be responsible for the complete installation and deployment of the new system and deliver training to the public safety user teams operating in the city. Ulaanbaatar is the largest city of Mongolia with a population of over 1.3 million; located in north central Mongolia, Ulaanbaatar is the cultural, industrial and financial heart of the country. It is the centre of Mongolia's road network and is connected by rail to both the Trans-Siberian Railway and the Chinese railway system. Batgerel Chuluunnast, general manager for Global Telecom, said: "Sepura radios will be beneficial to users operating in the city's noisy streets thanks to their crystal-clear audio and will allow clear and uninterrupted communication which is a vital requirement in emergency situations." July 3 (news.mn) Peace Avenue is being repaired in three phases. Currently, the second phase of repair, which extends from the Flower Center to the State Department Store, is underway. The section is closed to traffic. Repairs will finish, and road will be re-opened on 6th June. The third phase of repair will be from the State Department Store to the West Crossroad and will start on 16th July depending on the Naadam Holidays. July 3 (news.mn) The "Ulaanbaatar –Sculpture 2015" festival has opened; its purpose to increase the number of sculptures in Ulaanbaatar and to promote the creations of Mongolian artists. This year is the second time the festival in being organized. In total, 87 sculptures by 45 artists are on display. Ten of them are being placed on chosen streets in Ulaanbaatar. Many young artists are taking part in the festival this year. The senior artists, who participated last year include: N.Amgalan, S.Badral, L.Gantumur, Yo.Dalh-Ochir and D.Khaliun. The City Mayor's Office informed that this festival has several advantages; improving the city's image, presenting sculptures connected with history and tradition, and things special to the minds of the public. July 3 (gogo.mn) In scope of "Friendly Ulaanbaatar" program, Classic Art Concert named Best of Classics - Open Air will be organized at Chinggis square for its second year. 2000-3000 seats are planned to be prepared at Chinggis Square, reported by the Media and Public Relations Department of City Governor`s Office. · General Artist G.Ganbaatar are to participate in the concert. Ulaanbaatar, July 3 (MONTSAME) A delegation from Vietnam led by the vice minister of Public security Dang Van Hieu is visiting Mongolia on July 1-5. At the invitation of the Mongolian Minister of Justice D.Dorligjav, the visiting delegation and the Ministry officials exchanged information on the two countries' legal renovations, law enforcement systems and on the matter of preventing crimes. Vietnamese delegates also paid courtesy calls to the Minister D.Dorligjav and the Vice Minister Ts.Uugangerel, and met with the head of the General Police Department R.Chingis and the director of University of Law Enforcement C.Baatarjav, to discuss about further cooperation between two legal systems. July 3 (news.mn) A month of June is indeed the ideal time to visit Ulaanbaatar and enjoy its long summer days in case one needs a little more dose of vitamin D. However, this time scholars from the North East Asia countries flocking to this vibrant city on way more important mission rather than soothingly relaxing sunbath. The Ministry of Foreign Affairs (MFA) of Mongolia together with the Institute for Strategic Studies (ISS) once again co-hosted the Second International Conference on Ulaanbaatar Dialogue on North East Asian Security on 25th to 26th June, 2015. Individual researcher and institutions from the Russian Federation, the People's Republic of China, the Republic of Korea, the Democratic People's Republic of Korea, the United States of America, Japan, India, Mongolia and civil society organizations such as the Global Partners for Prevention against Armed Conflicts, Blue Banner were represented apart from the Mongolian Parliament and MFA officials. They had actively brainstorms on a wide range of regional security issues with an international implication for two days. They expressed a lot conflicting but thought provoking views but unanimously reached on a core conclusion that with the current drastic changes in global political and economic scenario the epicenter of trade and economic activities are appeared to be shifting gradually but steadily from the western hemisphere to the North East Asia(NEA). The NEA where the major energy exporter- Russia, the biggest market and soon to be biggest economy - China, leading technology runner-Japan, foremost ICT- user South Korea and mine booming land of a vibrant growth- Mongolia situated could become an engine of global prosperity in the 21st century. Blending their vast natural endowment, technologic and economic capacity as well as endeavor of North Korea which is in search for way out for development are equally being watched closely by the international community. One of a new but interesting tendency appeared in the NEA today is fastest growing appetite for enlarging markets and joining into regional if not global logistical and transportation networks. Efforts by the Mongolian government to utilize its major mineral deposits, attempts by other regional stakeholders to enter into bilateral, multilateral free- trade- agreements, opening new special economic zones and multiple mega transnational energy and transportation projects canvassing vast areas are if not anything but a vivid indication of this promising tendency. Mongolia is attaching an importance to regional economic integration by encouraging foreign direct investment, entering into multilateral cooperation in particular joining in regional energy, logistics and infrastructure chains in a bid to reduce its manufacturing cost and increase competitiveness. In one way, landlocked developing country -Mongolia is interested to get access to the sea through the NEA regional infrastructure via its two immediate neighbors by gaining favorable transit transport for passengers and freights. Following the first Conference on Ulaanbaatar Dialogue held in the previous year the Government of Mongolia have accomplished a tangible achievements. The heads of its two immediate neighbors paid the visits to Mongolia in August and September, 2014 respectively and they had the first ever three partite summit in Dushanbe, Tajikistan in which had importance not only in their relations but also in multilateral cooperation in NEA. This tri-partite partnership has enlarged the positive perspective for regional economic integration with their third parties by creating favorable impacts on trade and investment environment with their third parties. Mr.Ts. Elbegdorj, President of Mongolia and Mr.Shinzo Abe, Prime Minister of Japan have reached in principal agreement for concluding Economic Partnership Agreement in July,2014 which followed by ratification by Parliaments of the two countries. No doubt it would unleash free trade between Mongolia and Japan and encourage flow of Japanese modern technology and machineries into Mongolia. Foreign Minister of ROK paid an official visit to Mongolia in honor of the 25th Anniversary of the establishment of diplomatic relations between Mongolia and ROK in August, 2014nand agreed to boost their relations and cooperation in particular in the field of trade, economy, investment and the South Korean companies involvement in infrastructural development in Mongolia. Delegation led by Mr. Kang Sok Ju, Member of the Political Bureau and Secretary of Central Committee of the Workers Party as well as Mr. Ry Soo En, Foreign Minister of the DPRK have paid the visit to Mongolia during which the concerned parties discussed the issues of regional security and economic cooperation and have reached into agreement. Since Mongolia enjoys an excellent political ties with countries in this region and has no disputes with each one of them and could be free from any controversy to make its contribution towards further strengthening peace and stability in there the initiative for Ulaanbaatar Dialogue on the NEA Security has been received by them warmly. In the course of past one year within the framework of Ulaanbaatar Dialogue initiative the women parliamentarians of the countries, cities mayors in NEA have gathered in Mongolia apart from the regional high level meeting on Energy Connectivity and NEA Youth Forum successfully held in Ulaanbaatar recently. These events are helpful in building up confidence, mutual understanding and give us a leverage to focus next rounds of such meeting to be continued to specific theme such traditional and non-traditional security risks, energy, and infrastructure and environmental issues as well. Scholars have also expressed their respective views on these topics extensively during the Second International Conference and have agreed to continue meeting next year to order to support the on-going endeavor of all the parties concerned. Mongolia proverb says Discussion by all the stakeholders will ensure to be free from an omission and washing by a lukewarm water makes our hands free from dirt. The next round of this Conference to be held in 2016 is appeared to be a long await but with a lot of a good optimism. July 3 (gogo.mn) Bank of Mongolia issued silver coin with Khubilai Khan in view of 800th anniversary of his birth. Anniversary coins were made in China by the order of Bank of Mongolia. History states that fifth Khaan of Ikh Mongol Khubilai was born in autumn of 1215. The coin is 38.61 mm in diameter made with 925 silver and weighs 25gr. The face value of the coin is MNT 10,000 as it depicts the great khan of Mongolia. A year ago Bank of Mongolia has issued golden coin with image of Chinggis Khan, while silver coin with Chinggis Khan was issued several years ago. Golden coin with image of Uguudei Khan was issued by the order of a private company in very few numbers. Bank of Mongolia issues the rights to issue the coins. Bank of Mongolia issues limited edition coins not for profit, but in order to enhance the coin collections of the collectors and to promote the Mongolian history. The opening ceremony to introduce new silver coin is to be held on Monday. Accompanying the dissolution of the USSR and the formation of new nation states in the 1990s, nearly half of Mongolian Kazakhs migrated from their adopted home of Mongolia to the imagined homeland of Kazakhstan. By 2000, a sizable percentage returned to Mongolia. In explaining their decisions to stay in or to return to Mongolia, the Kazakhs we interviewed cite several culturally specific factors. Place identities, as expressed through cultural elements of religiosity, kinship ties, and language versatility tie Mongolian Kazakhs strongly to western Mongolia while meta-narratives about diaspora and homeland prescribe identity with Kazakhstan. Utilizing life history interiviews, participant observation, and questionnaire data we argue that Mongolian Kazakhs actively employ narratives of their cultural history to re-create and re-establish place identities in Mongolia and ultimately re-imagine Mongolian-Kazakh community and identity. These recreated place identities have emerged among Mongolian Kazakhs who chose to remain immobile or return migrate from the 'homeland' of Kazakhstan. ULAN BATOR, July 1 (Xinhua) -- A Mongolian geneticist has warned that his country should be aware of the risk of inbreeding among the population, local media reported Wednesday. Enkhmaa Enkhee, a scientist with the Social Health Institute of Mongolia, said that the effects of inbreeding are being seen in the country as many children are born with health issues such as cleft lips and palate defects, cardiac disease and many other birth defects. Enkhmaa said that his team has estimated the coefficiency of inbreeding among the Mongolian population, and then determined that 97.24 percent of this coefficient were direct inbreeding, and the remaining 2.76 percent were remote inbreeding. The researcher blamed the division of the Mongolian population into small administrative units that restrict the free movement of people. There are 21 rural provinces, 370 rural settlements and 1,500 rural counties in Mongolia. It is common for Mongolians in rural areas to marry within their community. Mongolia only has a population of three million and half of the population is concentrated in Ulan Bator, the capital city. July 3 (Inside the Games) Hosts Mongolia showed their immense depth in all weight categories on the opening day of the International Judo Federation (IJF) Grand Prix at the Buyant Ukhaa Sport Complex in Ulaanbaatar. A hat-trick of gold medals came the country's way across the five weight categories, with two-time World Judo Masters winner Sumiya Dorjsuren claiming the women's under 48 kilogram crown and Amartuvshin Dashdavaa and Tumurkhuleg Davaadorj taking the men's under 60kg and under 66kg titles respectively. Mongolia have entered a maximum team of 56 judoka and their significant representation paid dividends from the beginning. Ulaanbaatar Grand Prix poster girl Dorjsuren defeated France's Helene Receveaux to win her second straight IJF World Judo Tour event and catapult herself into contention for honours at the World Championships in Astana next month. The 24-year-old won on shido penalties to bring the large home crowd to their feet as Receveaux was unable to reverse the result of May's World Judo Masters final in Rabat. "I think for the Mongolian athletes there is a home advantage, we all felt very strong today and the crowd was amazing," said Dorjsuren. "I am very happy to be part of such a successful day for Mongolia with three gold medals on day one for us. "My next competition will be the World Championships in Kazakhstan where I also hope to be on the medal podium." The first bronze medal was won by North Korea's Hyo Sun Ri against China's Yang Liu before Japan's Kaori Matsumoto beat Austria's Sabrina Filzmoser in the second. Meanwhile, Tbilisi Grand Prix bronze medallist Dashdavaa beat compatriot and world champion Boldbaatar Ganbat in the men's under 60kg final as Mongolia won all four medals. Ganbat, wearing a red backpatch as the reigning world champion from Chelyabinsk last year, and Dashdavaa could not be separated after five minutes and went into golden score with the fans gripped by seeing two of their top judoka going toe-to-toe. Dashdavaa extended his impressive head-to-head record against Ganbat with an ouchi-gari earning ippon, having now claimed five of their seven meetings. The first bronze medal was claimed by Kherlen Ganbold who outperformed Kazakhstan's Gusman Kyrgyzbayev, while the second went to Tsogtbaatar Tsendochir who blasted his way past France's Sofiane Milous. In the men's under 66kg category, World Judo Masters bronze medallist Davaadorj finally topped the podium at his home Grand Prix having won bronze and then silver in the two previous editions. Davaadorj defeated 17-year-old Japanese wonderkid Hifumi Abe in the final to win Mongolia's third gold medal of the opening day. Tokyo Grand Slam winner Abe, who had the goal of capturing a first Grand Prix medal of his young career, achieved that with a silver medal as Davaadorj swept him with a beautiful piece of ashi-waza. It extended Davaadorj's head-to-head record against Abe to 2-0 having beat the Japanese starlet at the Dusseldorf Grand Prix earlier this year. The first bronze medal was won by Russia's Arsen Galstyan at the expense of Mongolia's Batgerel Battsetseg, while the second went to Mongolia's Altansukh Dovdon who was successful against Slovenia's Andraz Jereb. It was not all plain sailing for Mongolia, though, as home judoka Tsolmon Adiyasambuu lost out to Japan's Ai Shishime in the women's under 52kg final. The first bronze medal was clinched by Mongolia's Bundmaa Munkhbaatar against Great Britain's Kelly Edwards, while the second was won by another Mongolian, Bat-Erdene Baljinnyam, against Finland's Jaana Sundberg. As for the women's under 48kg category, France's Laetitia Payet defeated South Korea's Yujeong Kang in the final. The first bronze medal was awarded to Kazakhstan's Alexandra Podryadova, who overcame China's Yahong Jiang, with the second won by Mongolia's Khorloodoi Bishrelt, who came from a waza-ari down to stun North Korea's Sol Mi Kim. The action is due to continue tomorrow on the three tatami with the women's under 63kg and under 70kg judoka joined by the men's under 73kg and under 81kg. Prague, July 4 (ČTK) - Four mares of the Przewalski horse from the Prague zoo left for Mongolia, which is the country of the horse´s origin, aboard a transport plane this morning as part of the project Return of Wild Horses. July 4 (UNESCO) The World Heritage Committee this morning approved the inscription of six cultural sites on World Heritage List: Tusi Sites (China), Susa, Cultural Landscape of Maymand (both in the Islamic Republic of Iran), Singapore Botanic Gardens (Singapore), Baekje Historic Areas (Republic of Korea), Great Burkhan Khaldun Mountain and its surrounding sacred landscape (Mongolia). Great Burkhan Khaldun Mountain and its surrounding sacred landscape (Mongolia) —The site is situated in the north-east of the country in the central part of the Khentii mountain chain where the vast Central Asian steppe meets the coniferous forests of the Siberian taiga. Burkhan Khaldun is associated with the worship of sacred mountains, rivers and ovoo-s (shamanic rock cairns), in which ceremonies have been shaped by a fusion of ancient shamanic and Buddhist practices. The site is also believed to be the place of Genghis Khan's birth and burial. It testifies to his efforts to establish mountain worship as an important part of the unification of the Mongol people. WHEAT RIDGE, Colo., July 3--(BUSINESS WIRE)--AVATA, Inc. announces Charitable Support for Blue Waves Global Campaign's "Rally for the Rangers," where an International team of riders will buy and deliver new motorcycles to the rangers of Mongolia supporting the conservation of Hovsgol National Park from July 7-21, 2015. Irina Walker, a consultant at AVATA when moved to California, and Became a MSF certified Rider Coach after purchasing a motorcycle. After trips across North America, South America, Japan, and the Himalayas, Irina was eager to do her part in supporting the environment when she heard about the Rally for Rangers program. "Providing rangers with the right vehicles they need to protect the pristine National Park is important for our environment," said Irina Walker, Consultant at AVATA. The campaign team raises funds to equip 20 more park rangers in the Hovsgol National Parks—all key protected areas of the Taiga region and part of a large ecosystem. The team will purchase the new motorbikes and ride 1500 miles through the Mongolian highlands, personally delivering the bikes to the park rangers which will then be used to patrol National Parks of Mongolia. "AVATA's Charitable Giving Program chose to support this event for its global environmental awareness," said Duane Hardacre, Managing Partner at AVATA, "in addition, we are helping Irina, whom I have the utmost respect for, fulfill a lifelong dream." July 3 (Calgary Herald) Producers behind a family film called Burn Your Maps are looking for local Mongolians for speaking parts in the comedy-drama. Tryouts will be held Saturday and Sunday. The Kananaskis area will be doubling for Mongolia in the production, which will begin shooting in late July. Those interested will need to be available for one to five days, between July 27 and Aug. 28. Producers are looking for men from 30 to 80 years of age; women from 20 to 55 years of age; and boys from eight to 14 years of age. Tryouts will be held Saturday from 10 a.m. to 3 p.m. and Sunday from 2 to 6 p.m. at Evergreen Studios, Currie Barracks, 2633 Hochwald Ave. SW in the lower level "purple studio." No cast has been announced yet for Burn Your Maps. It will be directed by Jordan Roberts, who wrote the animated film Big Hero 6 and the documentary, March of the Penguins. Burn Your Maps, based on a short story by Robyn Joy Leff, is about a couple with a troubled marriage whose nine-year-old son decides he is a Mongolian goat herder who was born in the wrong place. July 3 (Telegraph) Archaeologists have discovered the wreck of a Mongolian ship that was part of a fleet dispatched by Kublai Khan to invade Japan in the 13th century. The ship is the second to be located off southern Japan from two massive armadas – each reputedly made up of more than 4,000 ships and with an invasion force of 140,000 men – sent by the emperor of the Yuan Dynasty to conquer Japan in 1274 and 1281. Both invasion fleets were destroyed by devastating typhoons, with the storms going down in Japanese history as "kamikaze", or divine wind, that saved the nation from foreign invasion. The kamikaze were again invoked in the dying days of the Second World War, with the crew of aircraft and miniature submarines carrying out suicide missions against the Allies. The Mongolian vessel has been located in a bay close to the city of Matsuura, on the west coast of the island of Kyushu, and archaeologists believe it was taking shelter from the storm when it foundered. Part of the hull of the ship was found beneath a thin layer of sediment around 75 feet beneath the surface. Porcelain that was made in China was found around the remarkably well-preserved wreck, including a vase and a white bowl, Atsuyuki Nakata, the head of the cultural properties division of the Matsuura city board of education, told The Telegraph. "One thing that we hope to learn from the wreck is the kind of materials that were used by the Mongolians 730 years ago, as well as the techniques used in the construction of the ship," he said. "In the first ship that we located, in 2011, we found a number of coins, but we have yet to find any on this latest vessel," he added. Other finds on the new discovery include roof tiles and iron utensils. The ship is estimated to have measured 65 feet from bow to stern and had a beam of around 23 feet, making it smaller than the vessel found four years ago. The hull was divided by nine wooden bulkheads, which remain clearly visible, and laden with rocks that appear to have served as ballast. The local board of education has been working with archaeologists from Okinawa's University of the Ryukus, with Prof Yoshifumi Ikeda claiming that his team has already identified three more sites that may be the wrecks of Mongolian ships and that the search for more, using ultrasound equipment, continues. History does not record how many of the two fleets managed to return to mainland Asia, but Mr Nakata is convinced that many more wrecks remain to be found in the bays of western Kyushu. "We have covered the wreck with silt again, in order to preserve the timber, and we are having discussions about whether we should attempt to raise it," he said.